Total Eyecare goes beyond pinpointing your vision needs by helping you choose the right eyeglasses for your personal style. Our eye doctors and staff have served the greater Elko area for years and pride ourselves on helping our patients find solutions that fit their unique situation. Read on to learn more about all the considerations when choosing eyeglasses. When choosing new frames for your eyeglasses, there is a multitude of options to consider. Some of these factors include style, color, face shape, brand or designer, and lenses. Once our optometrists has determined exactly what prescription is needed to address any vision issues you are having, our talented team of optical professionals can help you find the perfect pair of eyeglasses for you. This starts with the lenses. While actual glass lenses are rarely used today favoring plastic for lighter safer wear; there are a number of varieties of plastic lens from which to choose. All of these plastic lenses correct vision with safety and comfort with the main differences being issues of personal taste. For example, poly-carbonate plastic lenses are more shatter resistant while CR-39 plastic is the most affordable option available. Thus, poly-carbonate is often recommended for pediatric patients, athletes, and others who have jobs or hobbies that make breaking more likely. Other options include Trivex plastic lenses which are exceptionally light and thin, making them ideal for migraine sufferers and others. Finally, high-index lenses offer eyeglass wearers with the absolute minimum curve-related distortion available in a plastic lens. Anti-scratch coatings reduce the irritation of scratches on your lenses, extending their life. Photochromic lenses, also known as transitional lenses, these change the darkness of the lens to better match the ambient light. Face shape has a lot to do with which frames will look good on you. The staff at our vision clinic knows how to determine this and find the right frame for you. With Total Eyecare, you are never alone with all these options. 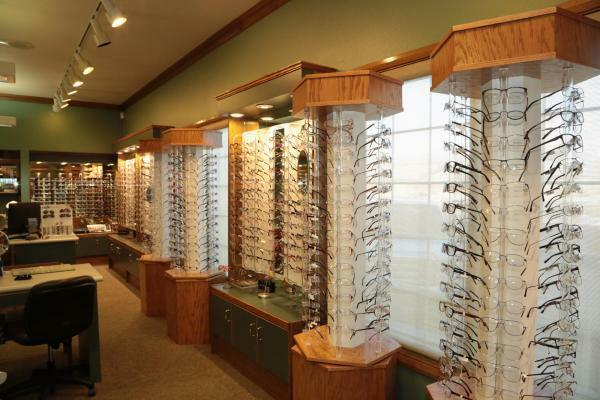 Our eye care staff can help walk you through which ones are the best for you and can help you find the perfect pair. We offer frames from well-known designers and can help you select the perfect color, shape, and size of frames while as well as making sure your glasses fit with the ideal combination of position and comfort. Call Total Eyecare in Elko, NV, at 775-738-8491, stop by our office in Elko, or click here to schedule an appointment online right now.